Wow! Is it that time again already? I don’t know if it is because of the “back to school” season or what, but there aren’t as many projects this month. But even with fewer to choose from, I ended up pledging to two campaigns this month. Will you help someone’s dream come true, as well? 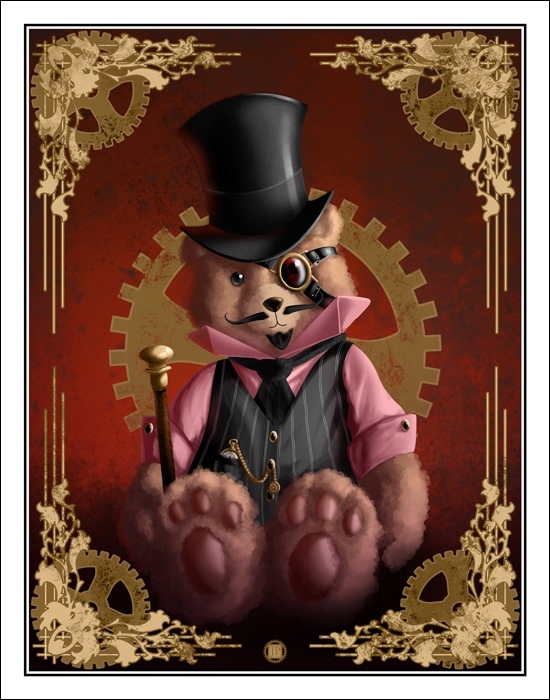 The Steamplush Gang is an illustration project of a trio of steampunk themed stuffed toys. The steampunk look and feel has always fascinated me and I had been brainstorming personal projects that would let me explore more of that genre when I hit upon this gem of an idea. They all started their lives in my sketchbook where I worked out their core look and feel before I began to refine their design and paint them digitally. They are all finished now and I am hoping that through this Kickstarter my little creations can help spread some of that fascination and wonder to others. Junx’n Punks ( pronounced “Junction”, or if you like “Junks and” — feel free to start an internet war over that ) is an all-ages adventure comic starring a group of young survivors in the distant future who physically bond with an adaptable alien race, giving them special abilities to fight for their freedom. My favorite reward: For a $5 pledge you get the first 24 pages of the comic series, plus a whole bundle of behind the scenes materials like notes, backstory and more. My favorite reward: A $3 pledge gets you a digital download of the album. I pledged at this level and you should too! She has already reached her goal so you will definitely receive whatever reward you choose. Phoebe Darqueling is a globe-trotting writer and artist working in the Steampunk ouevre.